Working With Materials is a comprehensive guide to a wide range of tools and materials in use in schools. 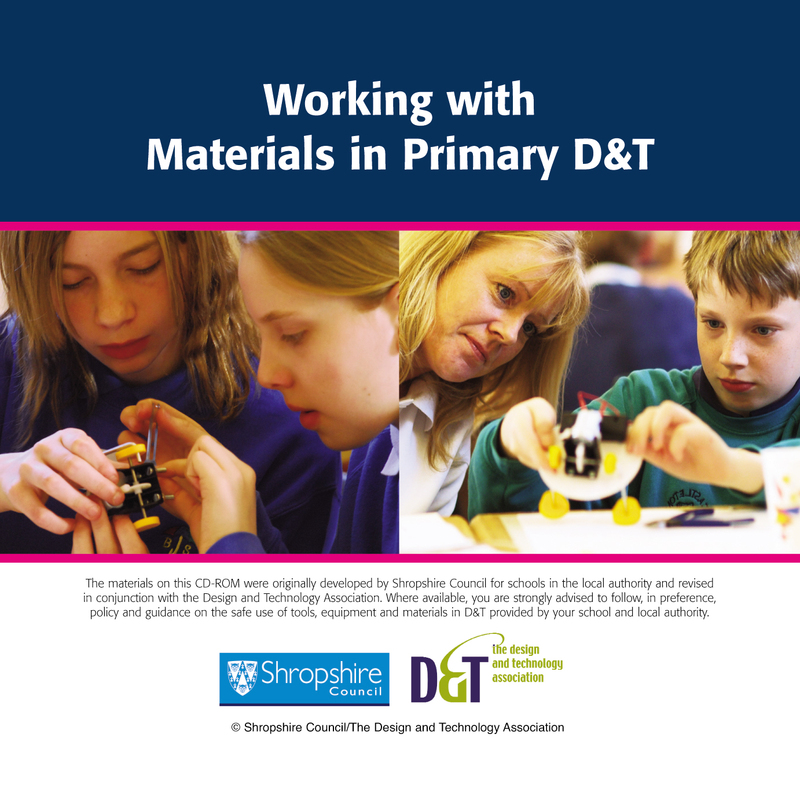 Developed by Shropshire Council in association with the D&T Association, it offers Health and Safety advice and guidance on over 200 tools, pieces of equipment and materials in common use in schools. The resource contains general advice on Health and Safety standards, classroom organisation and maintenance including example risk assessments. There is also a section on the preparation and use of permitted foods. 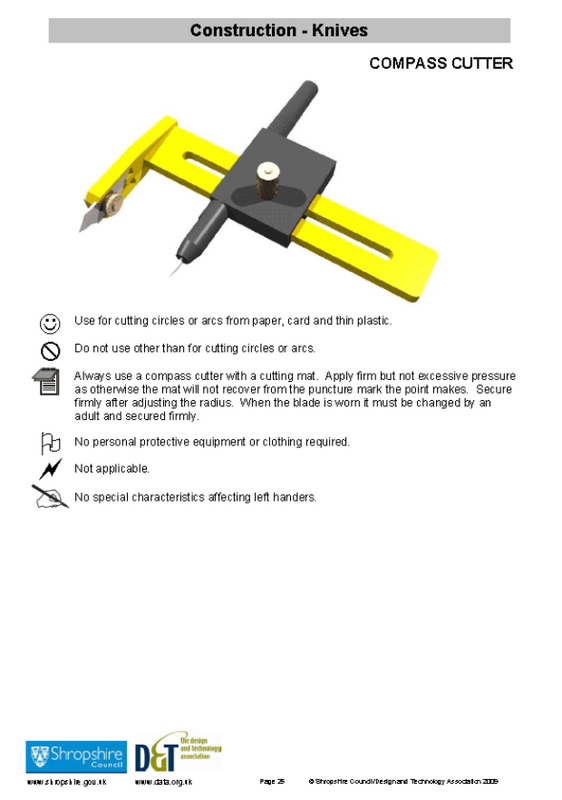 The main advice is in the form of information sheets for each item under headings that cover construction, joining and fastening, structures, control textiles and food and there is also a gallery of images of tools and equipment. Use Working With Materials to ensure that you make it safe in your classroom. It is a great accompaniment to A to Z of D&T, a pictorial dictionary of tools and materials in use in primary classrooms. 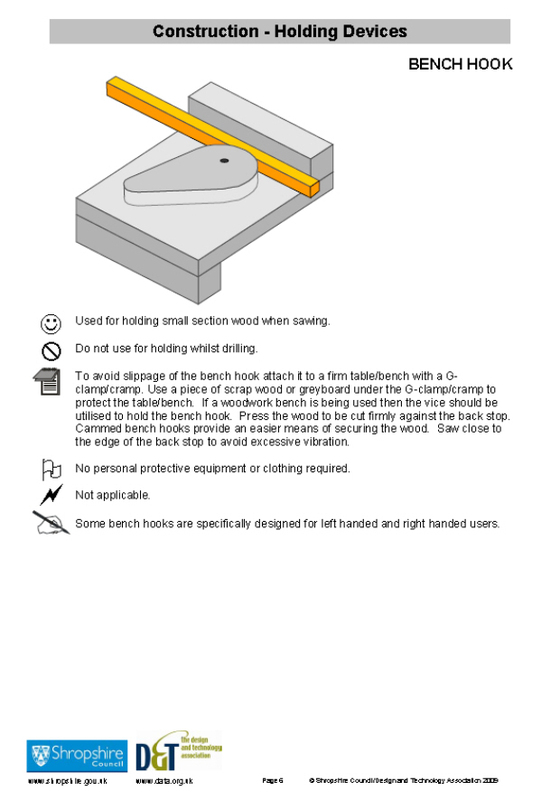 Working with Materials is also available as a downloadable version.